When to Plant Knock Out Roses? The Knock Out series of roses is a group of hybrid shrub roses introduced by the Conard-Pyle rose company, beginning in 2000 with the original red-flowered variety, Knock Out. The series has now expanded to seven rose varieties. The majority of Knock Out roses are sold in containers, ready to plant. They can be installed in the garden any time after the last spring frost, but special precautions should be taken if you are planting during the hottest part of summer when climate conditions put added stress on the plant. Knock Out roses do best in sunny sites with well-drained soil, though they will tolerate light shade for part of the day. Once purchased, Knock Outs should be planted as soon as possible. If planting is delayed, store in a sunny spot and water frequently. Dig a hole slightly deeper than the height of the pot and twice as wide. Mix the loose soil at the bottom of the hole with compost or other organic material. Place plant in the center of the planting hole and water well. Fill the hole, tamping down the soil to eliminate air pockets. Knock Out roses were bred to be exceptionally tough and disease resistant. In the first six weeks after planting, water regularly, especially in summer, when temperatures are high and there is little rain. After planting, mulch around the base of the plant to conserve soil moisture and prevent weeds. Using soaker hoses to water, especially in very dry seasons, makes efficient use of water and delivers it to plant roots with little evaporation. If the plant is acclimating to its location, new growth should start to appear after the first few weeks. The Knock Out roses grow in U.S. Department of Agriculture planting zones 4 through 9, with the exception of Blushing Knock Out and Sunny Knock Out, which are hardy in zones 6 through 9. The shrubs are compact, generally 3 to 4 feet tall with an equal spread. The leaves are oval-shaped, green and glossy. Knock Out and Double Knock Out have red petals. Pink Knock Out and Pink Double Knock Out feature medium pink flowers. Blushing Knock Out is pale pink; Rainbow Knock Out is orange/pink and Sunny Knock Out is pale to medium yellow. The Knock Out series of roses have been honored with awards for beauty and hardiness. In 2000, Knock Out was picked as an All-America Rose Selection by AARS, a prominent rose industry trade group that honors a single new rose each year. Rainbow Knock Out was an AARS All-America Rose Selection for 2007. 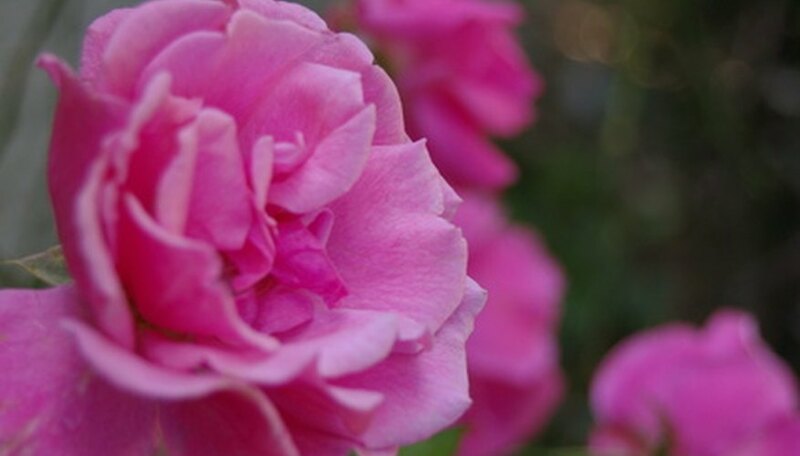 Texas A&M University selected Knock Out as one of its "Earth Kind Rose" selections after extensive trials for hardiness, sustainability and disease resistance.